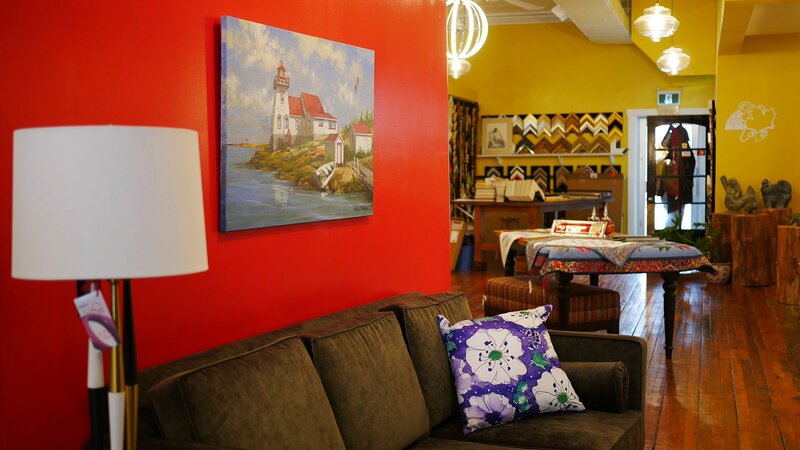 Amid the charming and historic shops of Downtown Gananoque, there is an unmistakable tingle to the air lately. Or should I say, “jingle?” To quote the dulcet tones of Andy Williams:’ “It’s the most wonderful time of the year,” and the party’s just getting started. This year, Heidi and I challenged ourselves to think outside the box (mall) and take a more #local approach to our holiday shopping. In this disrupted age of faceless online shopping (and potential shipping woes) we found ourselves craving a return to the more traditional and personalized aspects of shopping that you can’t get with the click of your mouse. Without further delay, join us for a fun day of shopping and dining in Gananoque Ontario! To kick off our day, we started at the legendary Hot Roast Company, located on the corner of King Street East and Charles Street North. This quaint and nostalgic diner is a favourite spot to score delicious all-day breakfasts, jaw-dropping sandwiches, burgers and beyond. Heidi and I would be on foot during our trip, so starting the day with a hearty breakfast was a good plan. 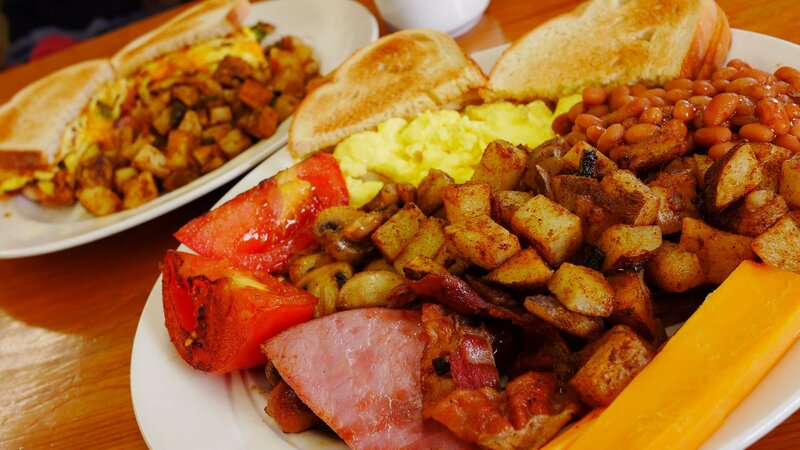 I chose the Full Monty breakfast which game on a large platter, piled with three eggs, baked beans, house seasoned home fries, ham, bacon AND sausage as well as toast and grilled tomato. 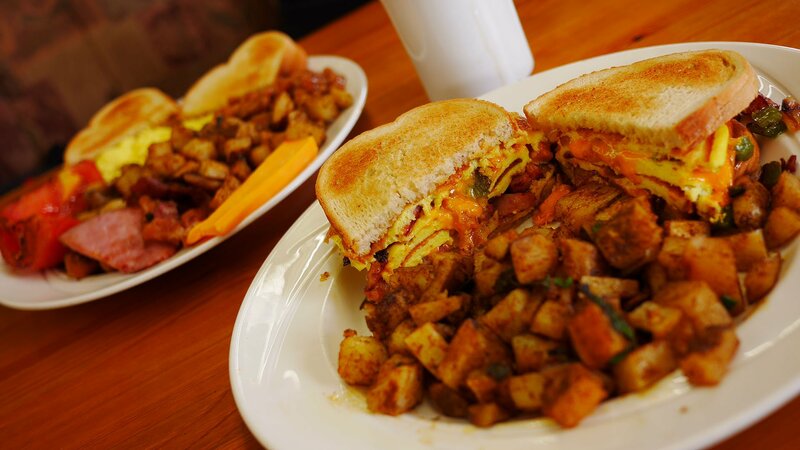 Heidi set her sights on the toasted western sandwich (a Canadian favourite) which also came with a generous mound of homefries. Our breakfast hit the spot and did not disappoint. 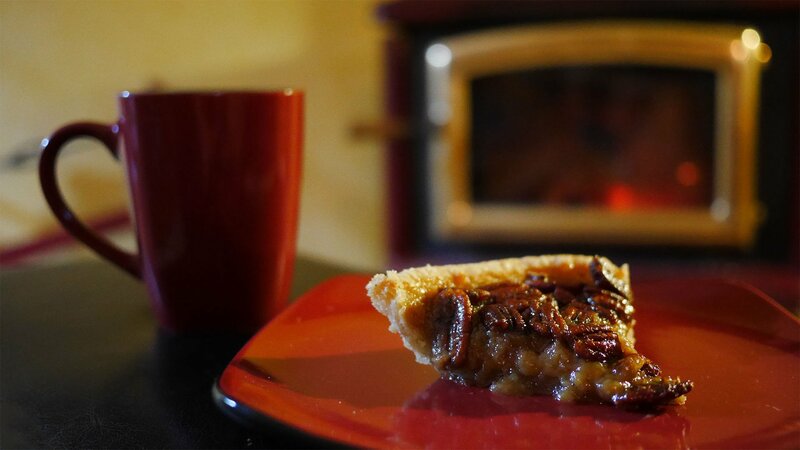 Paired with more than a few cups of freshly brewed coffee it was just what we needed. Just a few doors down from The Hot Roast Company was our first stop – which is a relatively new arrival to Gananoque’s roster of shopping venues. Owner Dennis O’Connor describes it as something entirely new to Gananoque. 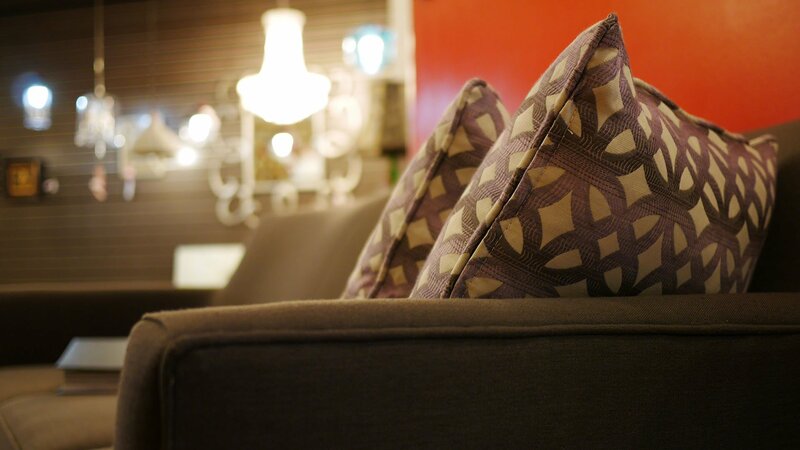 His gallery is more of an interior design studio for the business or home, with a range of services from custom upholstery to unique lighting and so much more. 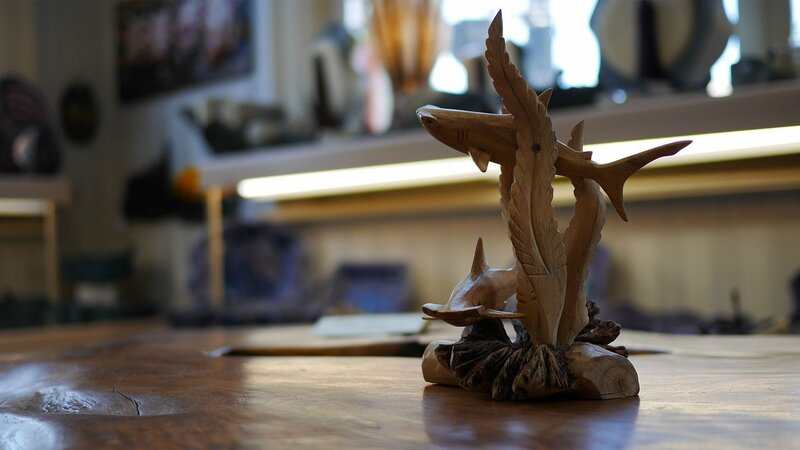 David’s evident love for creative expression comes through in the store’s visually pleasing layout, and a robust selection of beautiful Canadian artwork including canvas, sculpture and other mediums. Another unique feature is the presence of a custom framing studio with a wide array of options. O’Connor Gallery is always bringing in new Canadian produced displays, providing a variety of items that are never the same. Currently, David has a series of intricate quilts which certainly fit in with the arrival of the holiday season. 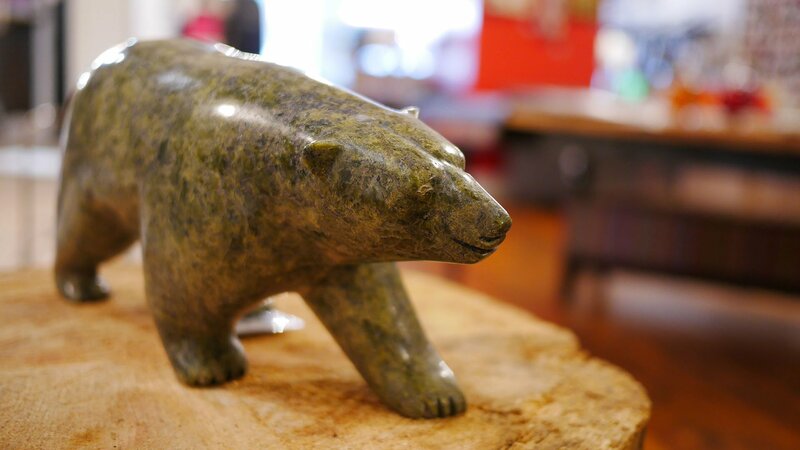 Also, in-store is an exquisite collection of Inuit stone sculptures that are sure to enhance the atmosphere of any room whether in one’s home or place of business. Heidi and I are no strangers to this quaint little bookstore and its wide selection of literary goodies. 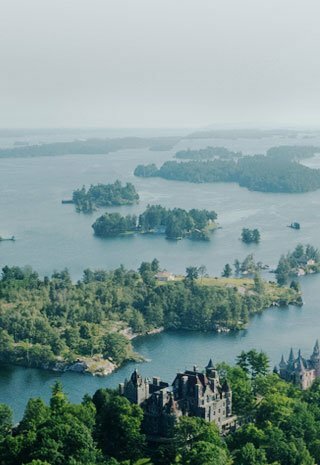 Here you’ll find an impressive collection of treats for every book lover on your list from Canadiana, timeless classics, fiction and so much more. 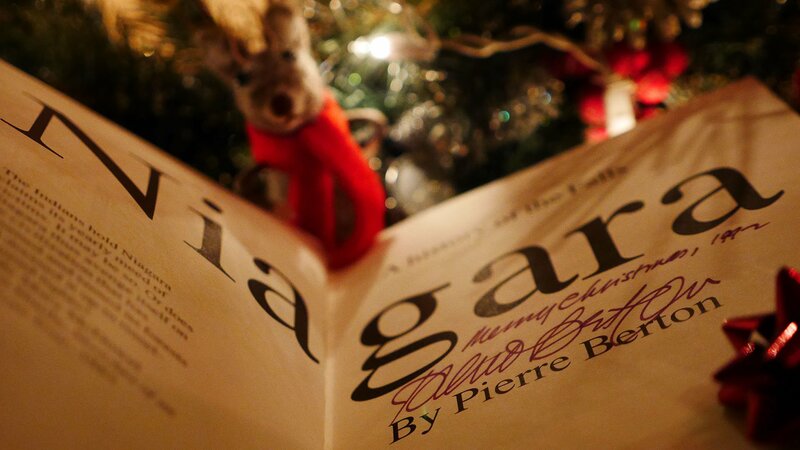 Whenever I am in Gananoque, I always make a point in visiting Beggar’s Banquet. 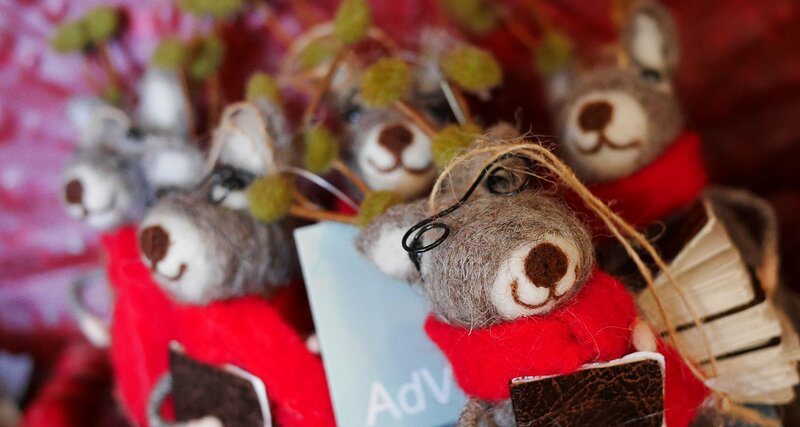 The store has an ample amount of excellent gift ideas. 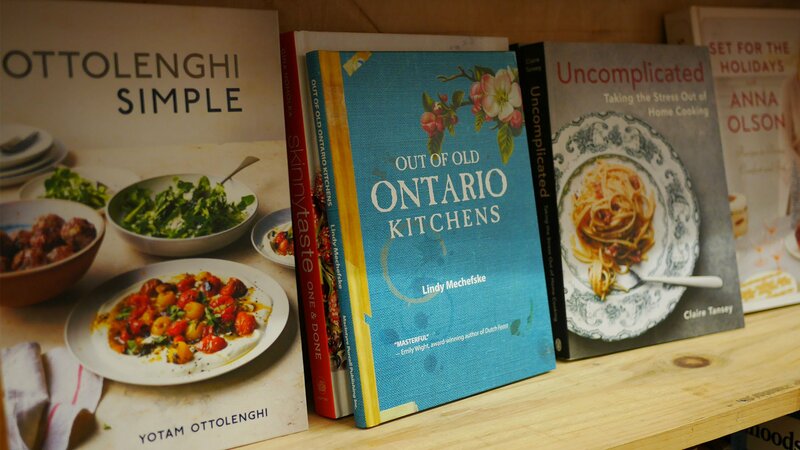 For the food lover, there is an excellent selection of cookbooks, including the beloved Out of Ontario Kitchens by Lindy Mechefske – which is sure to add some local culinary flair to your next Holiday dinner party. If there is a cultured Science Fiction fan on your list, the store has an extensive selection of both new and classic Sci-Fi. 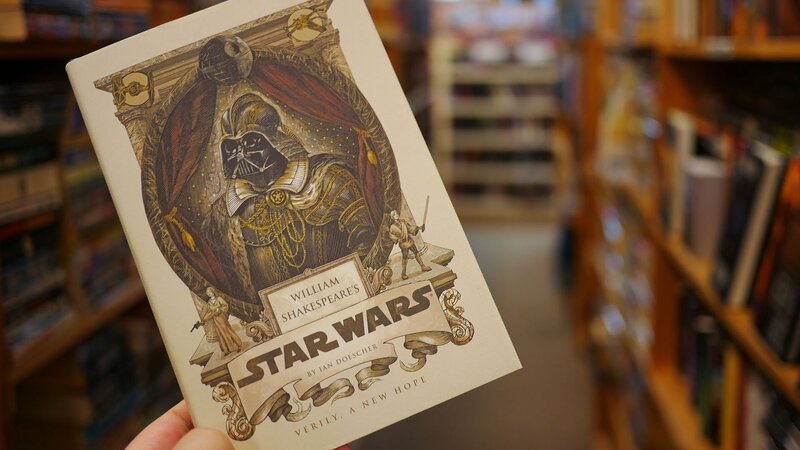 Nobody’s collection is complete without a copy of William Shakespeare’s Star Wars. 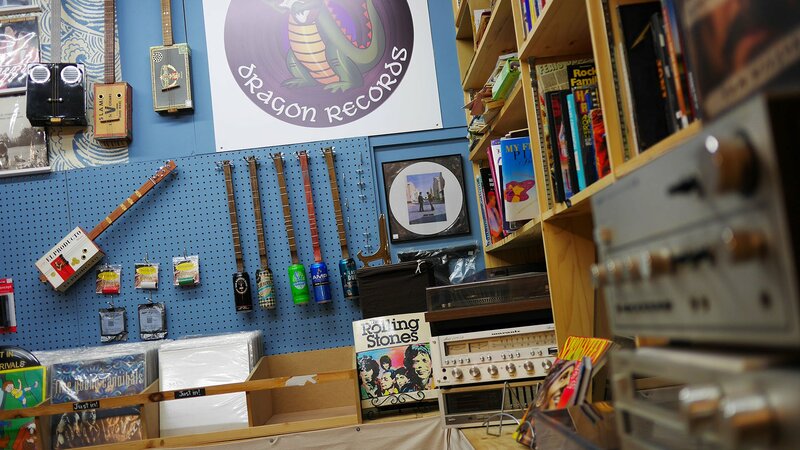 In addition to books, there is also an excellent variety of vintage vinyl to snoop through at Dragon Records. 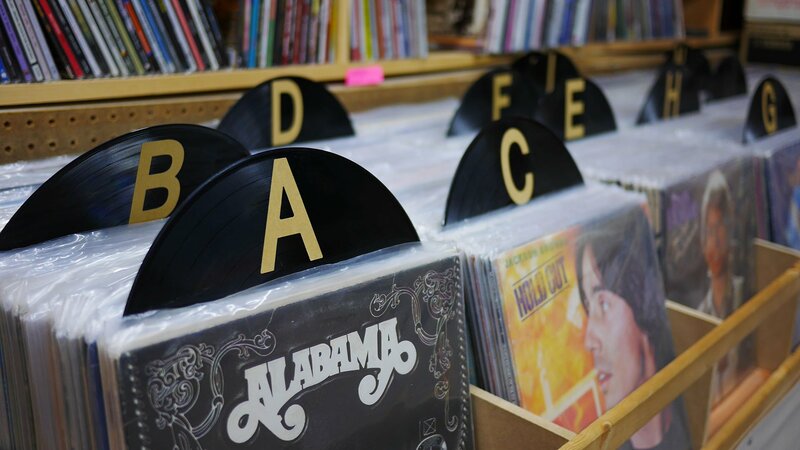 Any record collector or music lover alike could easily make an afternoon of snooping through a nostalgic inventory of records, stereo equipment, improvised guitars and beyond. 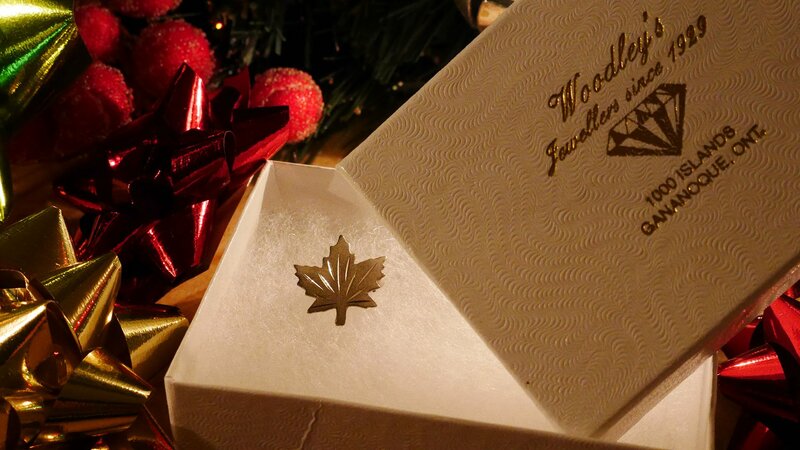 Our next stop was at the legendary Woodley’s Jewellers – purveyors of all things shiny and timeless since 1929! After stepping through the door, I was instantly taken with the store’s vintage layout – the walls on either side were lined with the original wood crafted display cabinets from when the store first opened its doors. 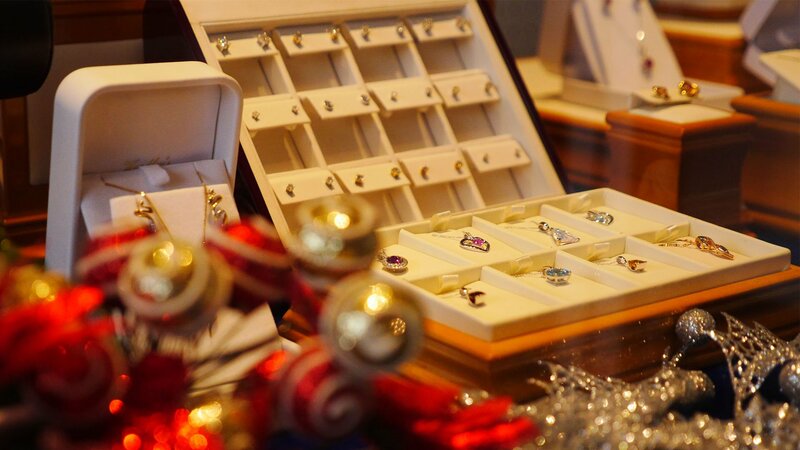 Behind the shimmering glass of each display was a dazzling array of trinkets, keepsakes, watches, engagement rings, and many other timeless gift ideas. Speaking of which, if you’re thinking about popping the question this holiday season, you’re certainly not alone. December is by far the most popular month for marriage proposals. While we were visiting, we had the pleasure of meeting the owner, Peter Woodley who’s Great Uncle was the original proprietor of Woodley’s. Peter has been working at the family shop for 29 years and brings an unparalleled level of experience and service to his customers. 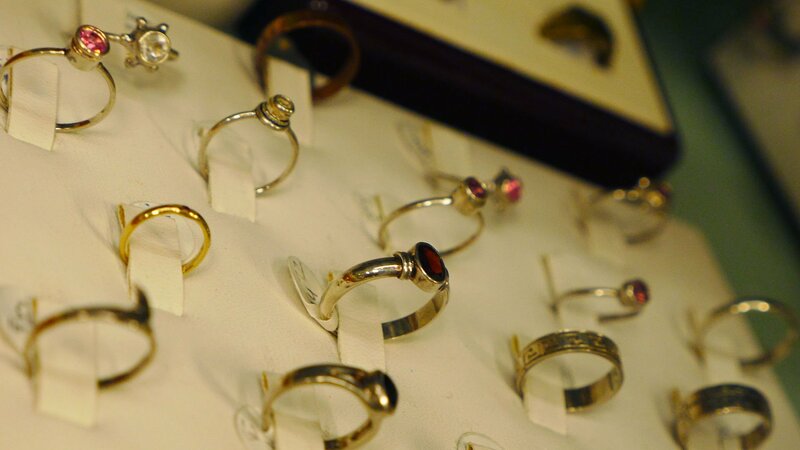 From minor repairs and alterations to custom goldsmithing, Peter can arrange to provide his clients with truly one of a kind items. 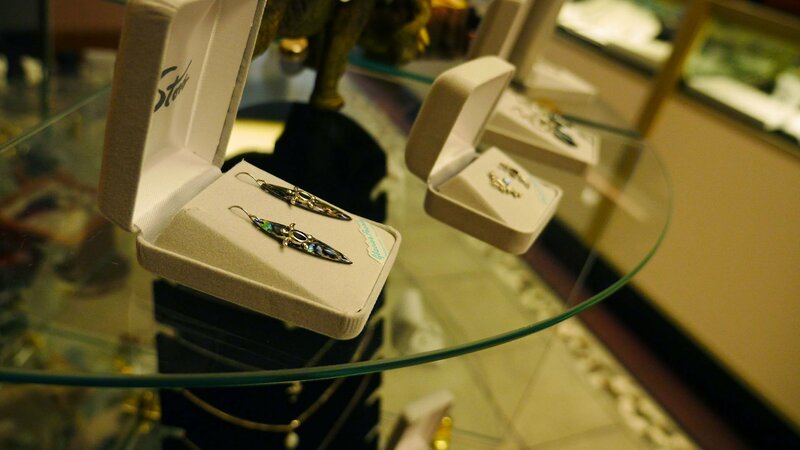 Close to the entrance, there is a spectacular rotating display-case filled with charming gift ideas from stationery sets, personal care items and a seemingly infinite selection of charms. 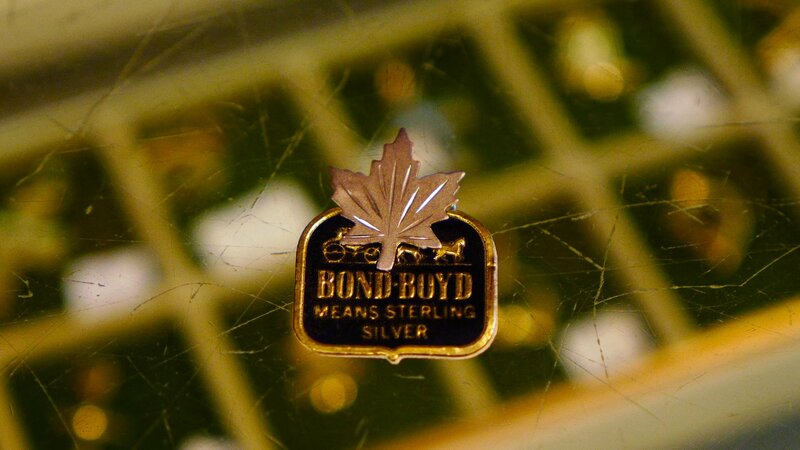 Standing out among the objects was a beautiful maple leaf pin made of sterling silver (pictured below). This lovely little icon would no doubt add a touch of both style and patriotism to any ensemble. Only a few doors down from Woodley’s at the corner of Stone Street South and King Street East is Gananoque’s fabled Woodchuck Gallery. 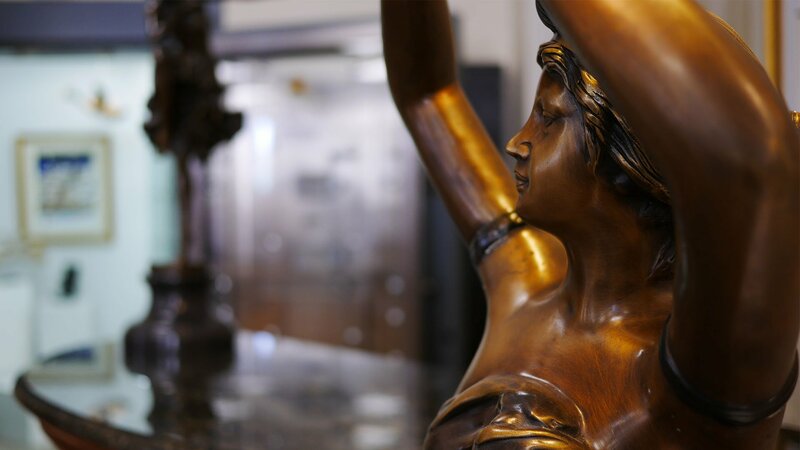 Situated in a gorgeous historic building that was once a bank – there is still a wealth of treasures within the building this day. 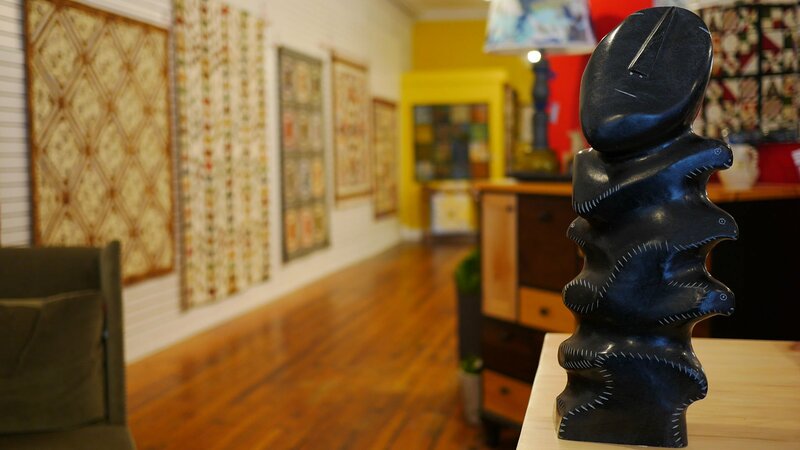 This impressive gallery of fine art and gifts is an absolute must visit. Within the store, is an eclectic collection of marble statues, wood or stone carvings, paintings and other priceless items from around the world. 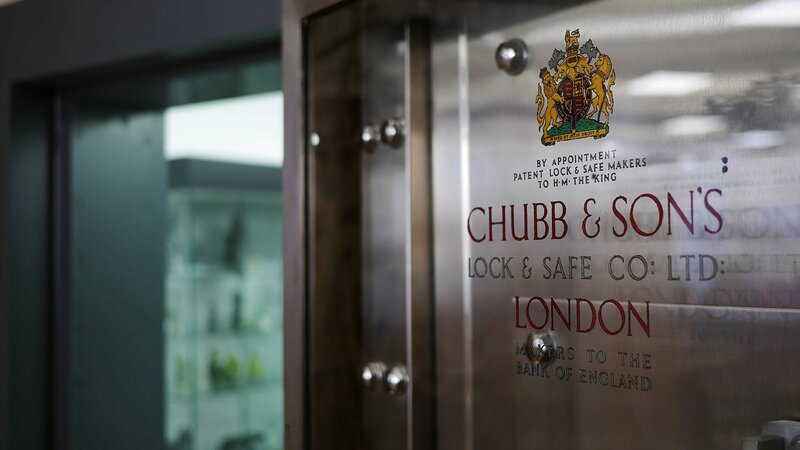 The two rooms at the back of the store were once the original bank vaults – and history buffs will no doubt love the Chubb & Son’s vault door (above, left) which is still intact. The massive steel door still bears the royal seal marking the appointment to His Majesty The King, George VI. Throughout the entire gallery are a king’s ransom worth of fine art and intriguing items that would each make an unforgettable gift. 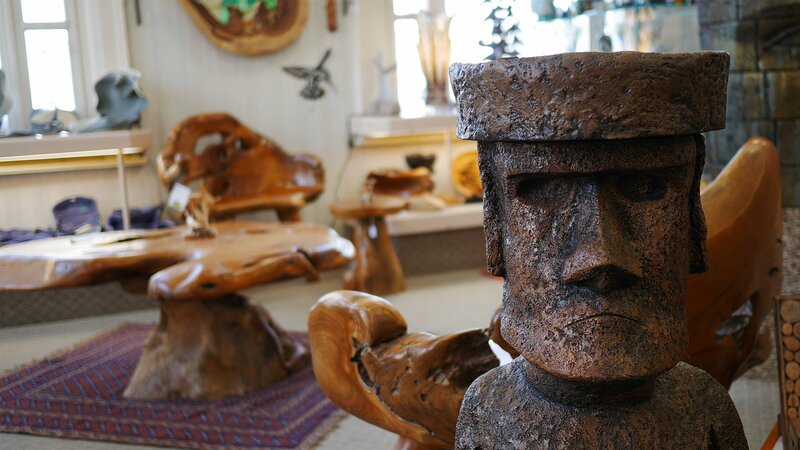 Whether it’s a bronze figurine or a hand-carved jewellery box from the Far East – shoppers can find both imported and locally crafted creations galore. With our heads still spinning from the beauty of Woodchuck Gallery, we continued along King Street toward Confederation Park. Since we were in the neighbourhood, we decided to pop into the Gananoque Visitors Centre to say hello. 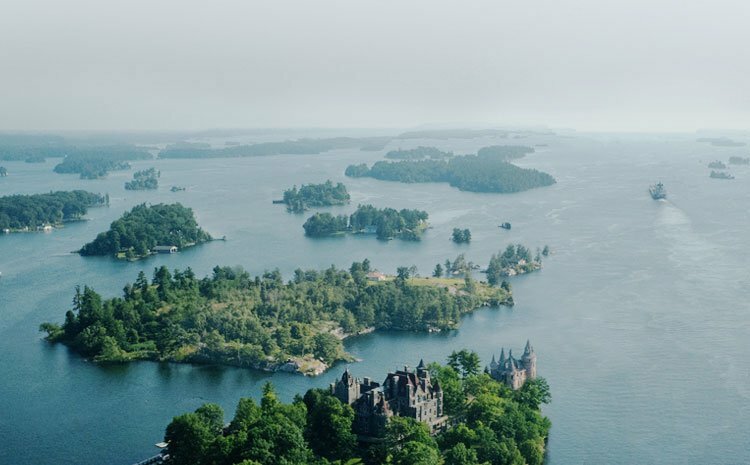 It was there that we met up with none other than Kathrine Christensen, the Executive Director of 1000 Islands Accommodation Partners. By now, Heidi and I were getting fairly hungry, so the three of us decided to head across the street to one of our favourite Gananoque #foodie venues: Laverne’s Eatery. To things even more exciting, Chef Ray Stedman himself was on-hand to chat with us and let us sample some brand new menu items! Breakfast is a big deal at Laverne’s, and Chef Ray has recently introduced “The Breakfast Bowl” which is described as “like granola, but better.” This pretty little bowl of vegan goodness comes packed with coconut chia, fruit puree, toasted nuts, house granola and fresh fruit. 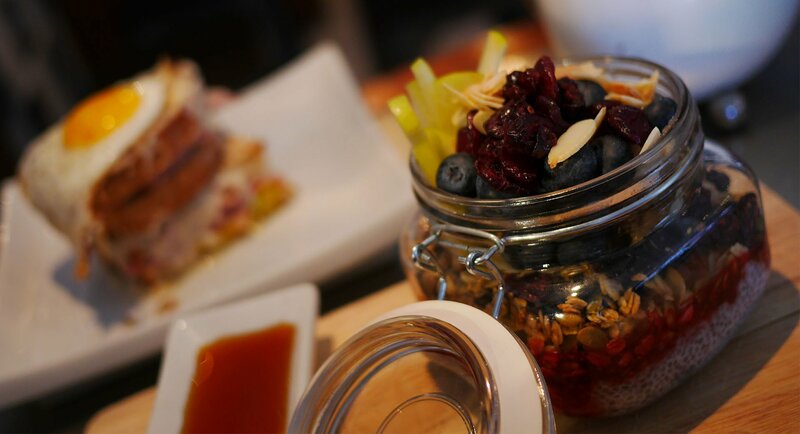 The breakfast bowl is a very healthy choice – and according to Kathrine, it was delicious. 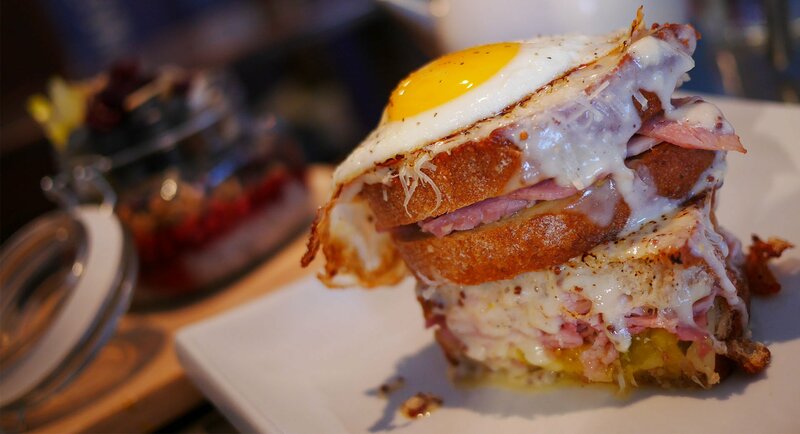 I went with a classic menu item: The Madame, which is a tantalizing tower of a sandwich comprising shaved ham, torched gruyere and sweet pickles on grilled sourdough bread which is then smothered in a delectable dijon nutmeg bechamel sauce and topped with a perfect fried egg. Heidi enjoyed The Diner Burger which typically comes with two house-made brisket and chuck patties, but Heidi opted for one. 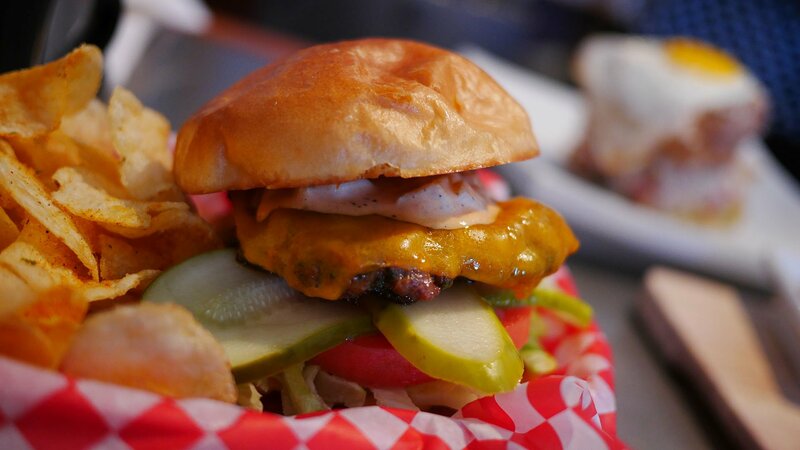 This bodacious burger comes topped with two slices of American Cheddar and all the fixings. Paired with a pile of kettle chips, it was a classic lunch option with a unique local twist. 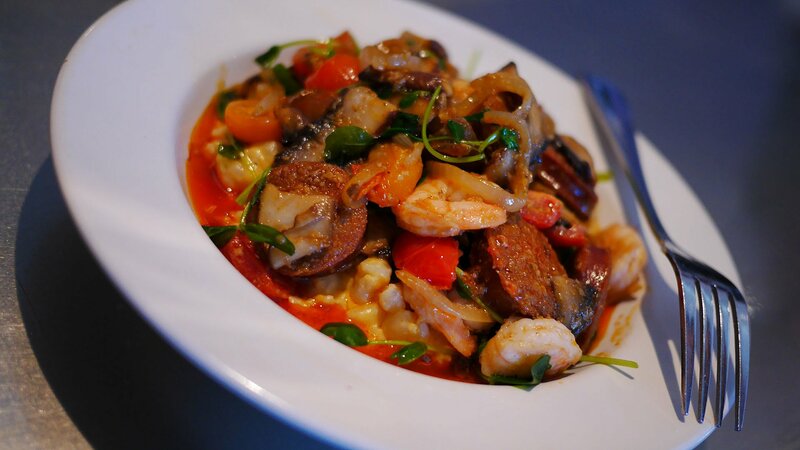 Last but not least, Chef Ray introduced us to a much anticipated new menu item: Shrimp and Chorizo Cheese Grits. This creative take on an American classic is a cut above the rest. Unlike its US counterpart, the corn grits were made up of Hominy which is a form of dried corn rather than ground cornmeal. This hearty (and gluten FREE) dish was absolutely lovely. After a fantastic lunch at Laverne’s, we headed next door to one of Gananoque’s premiere fashion boutiques: Steel Style Garage. 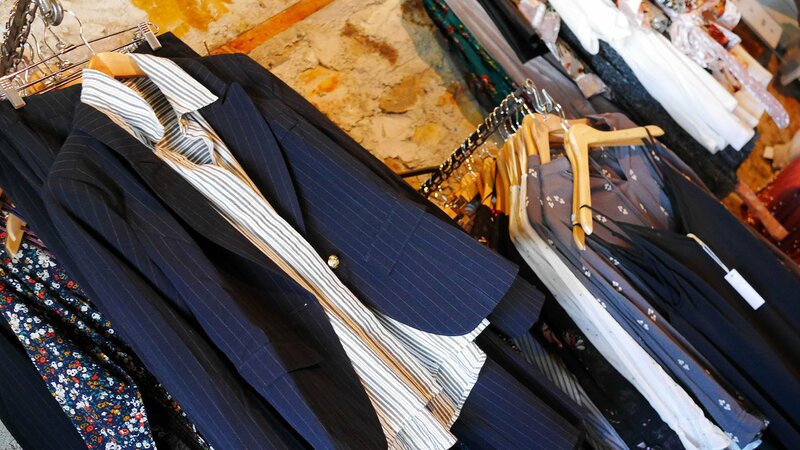 This stylish clothing retailer has you covered from snazzy formal attire to sharp yet relaxed casual styles all under one roof. Housed in the old Steel and Axle Headquarters – this two-story limestone building speaks to a glorious chapter of Canada’s industrial age. 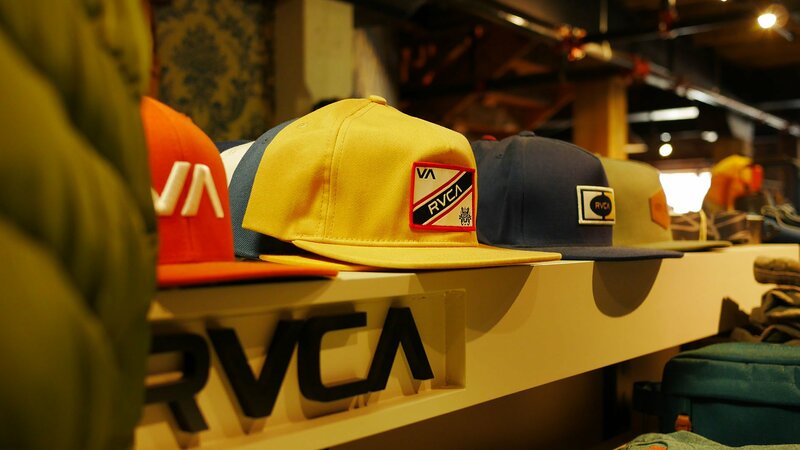 Aside from clothing, there is a large selection of accessories from jewellery to sunglasses and an impressive variety of stylish hats from such brands as RVCA, Billabong as well as unique independent labels too. It’s always worth stopping in at Steel Style garage to browse the latest in men and women’s fashions. Rock Out Around The Christmas Tree! New to Gananoque, but well known throughout the entire region is Centre Stage Music. Formerly located in Kingston, this popular music store seems to have settled into their new digs rather nicely. 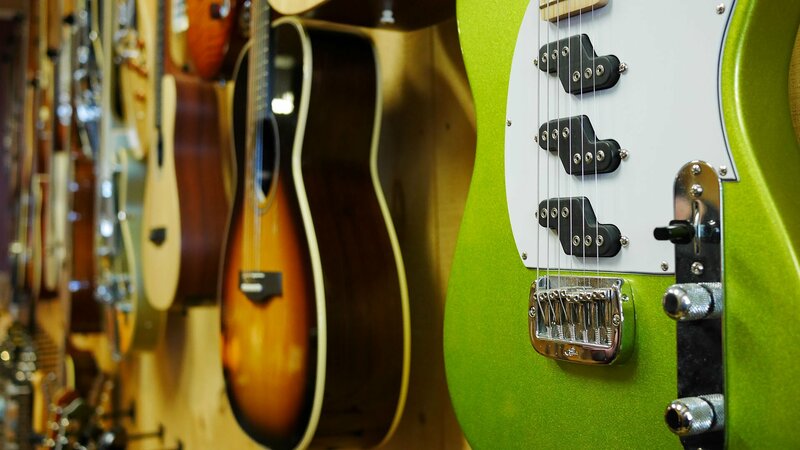 The walls of the store are adorned with a vivid selection of gorgeous guitars – shiny Stratocasters, sleek bass’ and glossy acoustic models galore. 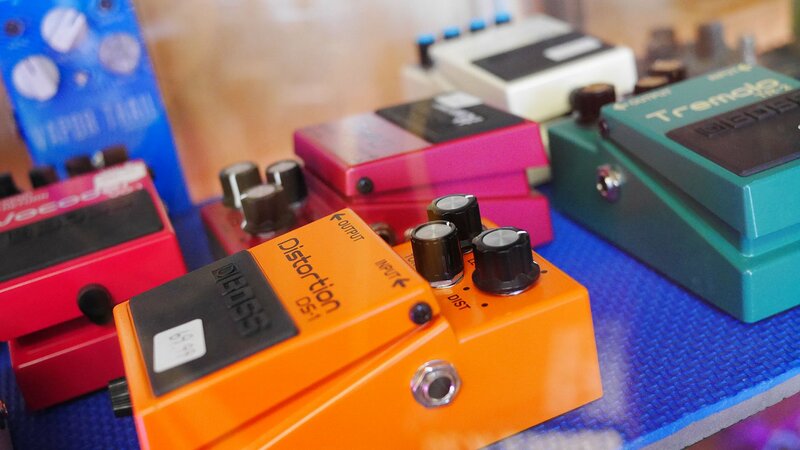 Centre Stage is far more than a guitar shop – and carries an ample supply of equipment ranging from distortion pedals, amps, cables, drums and beyond. Not only that, but they also carry many of the top brands including Godin Guitars, Epiphone, and Marshall to rhyme off a few. You’ll find pretty much everything you need to ensure your holiday jam session is complete – all under one roof. Only steps away is the historic Bell Tower Mall and the location of the aptly named: Never Enough Antiques and Collectibles. 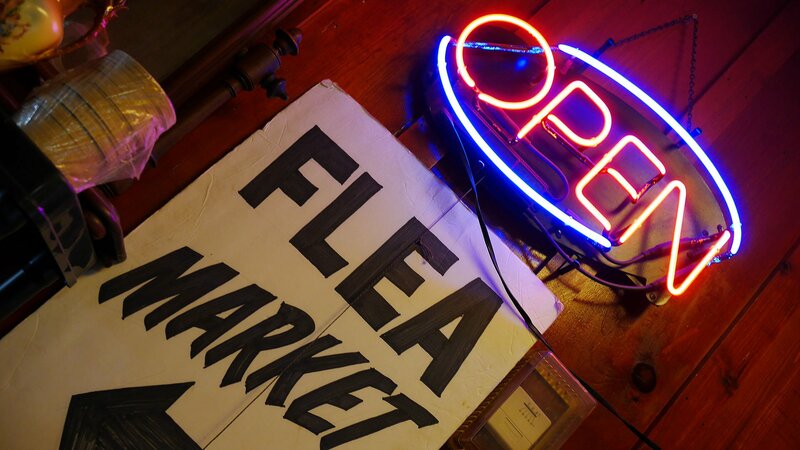 I am an admitted flea market addict and love exploring antique shops. Each contains a near-infinite world of memories and relics of the past and present. Not only that but if you’re shopping on a budget – you can make a little bit of money go a long way. 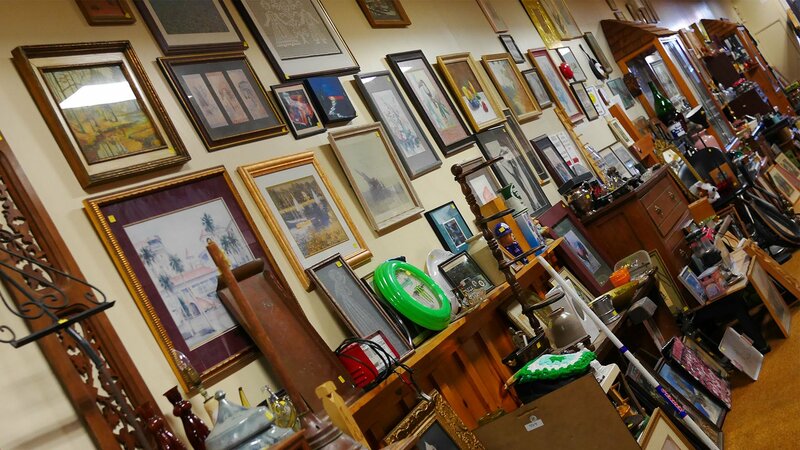 Never Enough is no exception to that rule and is filled to the rafters with a dizzying collection of all sorts of previously loved items that are sure to make fantastic holiday gift ideas. From books to model kits, vintage toys, typewriters and so much more, it’s impossible to see everything in one visit. 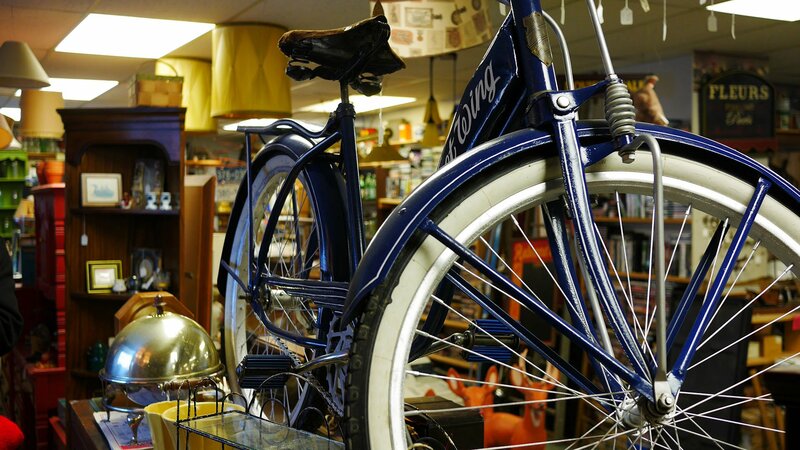 The coolest thing about antique shopping is that you aren’t just buying things but rather cherished memories — things that were once important to their previous owners that are now lovingly arranged and waiting to be enjoyed by new generations. Usually, you can negotiate a price when purchasing items at an antique store – which adds an exciting element to your shopping. 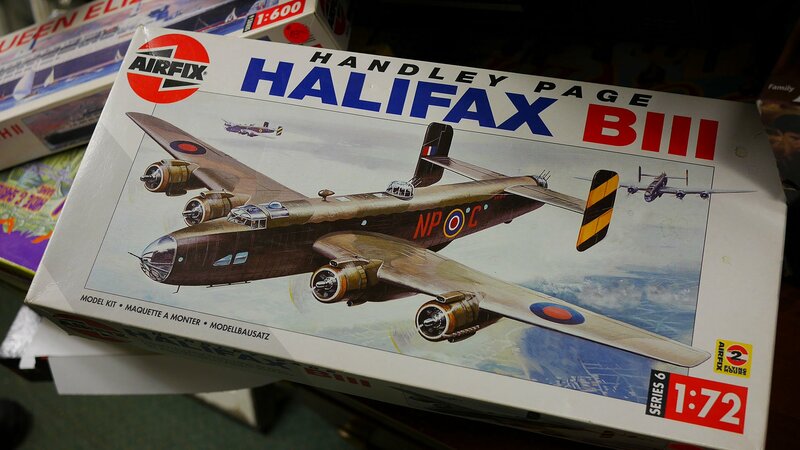 I felt like an excited kid when I saw a Handley Page Halifax model kit – which reminded me of my childhood days spent building entire fleets of aircraft models with my dad. Another gorgeous item on display was the vintage 1920’s Fleetwing bicycle – lovingly restored and ready to cruise the roads once more. This navy blue bike was a real show stopper, complete with moulded fenders and white wall tires. Last but not very least, we made the short walk from the Bell Tower Mall to experience the refined atmosphere and splendid aromas of Magnolia Flowers. 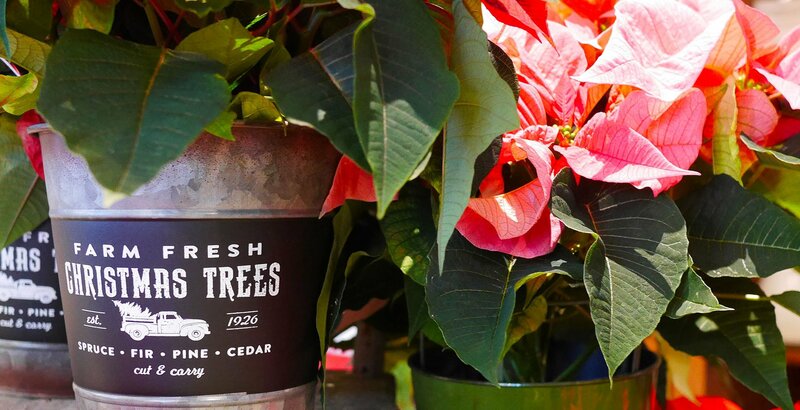 The store was already decorated to the nines in bright holiday fashion – and the shelves stocked with everything you could need for the holidays including handcrafted tree ornaments to poinsettias and all manner of festive floral finery. 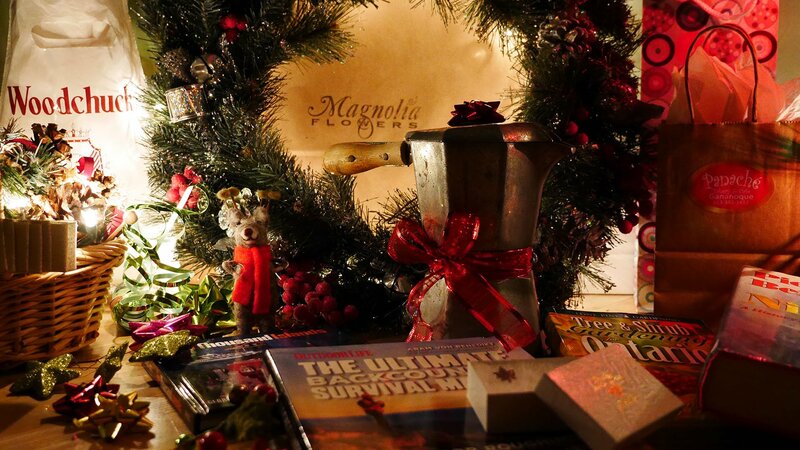 Magnolia is not merely a run-of-the-mill flower shop but a brilliant place to find a host of items that will be sure to enhance your home for any occasion. 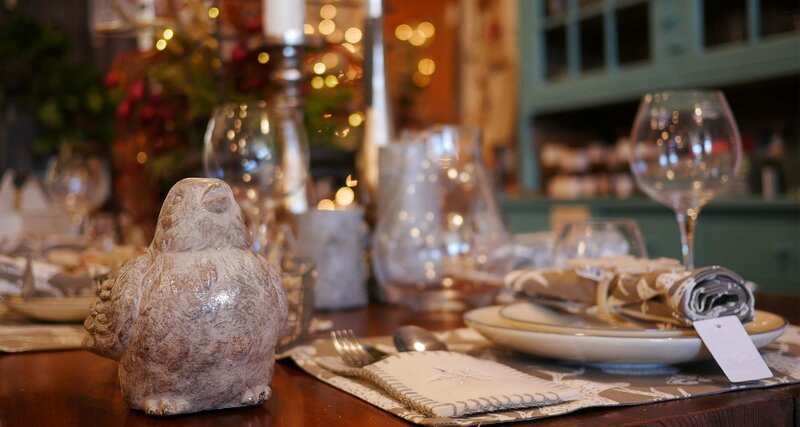 From elegant dinner and glassware to restored antique furnishings you’ll find an inspiring assortment of lovely items crafted by local artisans, as well as vintage jewelry, lavish scented candles, beautiful soaps and lotions, and designer blankets and pillows to name only a few. As our holiday shopping trip to Gananoque came to a close, we made our way back up King Street to our parking spot – with more than one item to wrap and place under our tree this year. 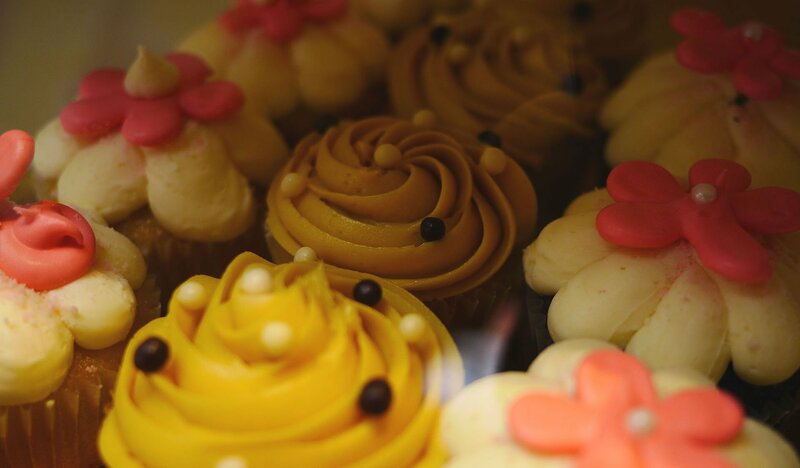 Before heading home, we made one last stop at the Panaché Bakery and Café to pick up a little something to take back for a late dinner with the family. 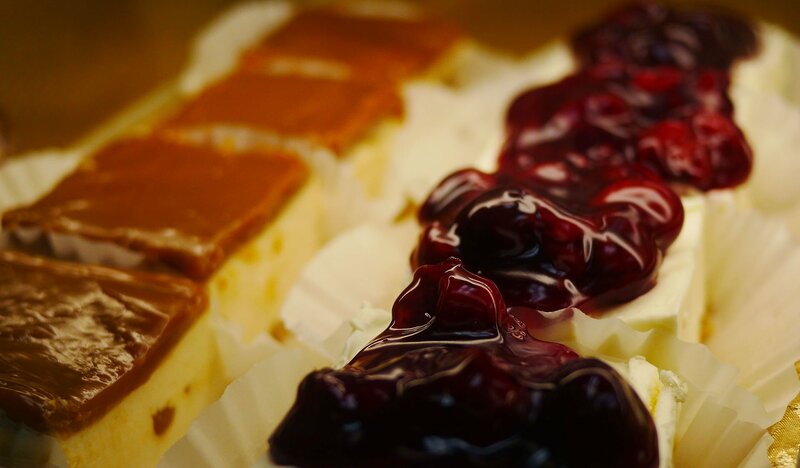 The holidays just aren’t complete without some tasty treats, and you’ll be hard pressed to leave the Panaché Bakery empty-handed. 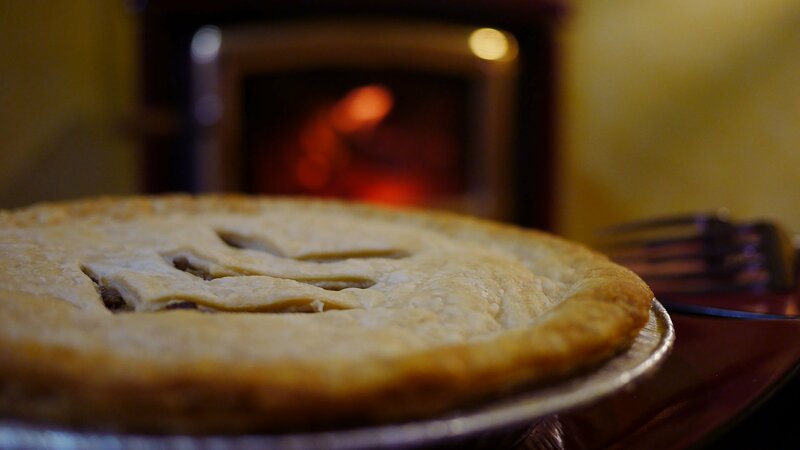 After several indecisive moments, Heidi and I settled on a frozen meat pie (tourtiere) as well as an irresistible Maple Pecan Pie that tasted even better than it looks. After an entire day of exploring just a few of Downtown Gananoque’s shops and dining venues, we couldn’t deny the festive feeling. Strolling up and down King Street and checking out all the brilliant window displays and shops was an incredible way to kick off the holidays and get into the spirit of the season! We brought home a fantastic haul of gifts to wrap up for our friends and family as well as the satisfaction of supporting a wonderful community of local businesses. I’d love to reveal some of the goodies we brought home with us, but there would be some major spoiler alerts for any friends or family members who might happen to read this blog. Suffice to say that there are more than a few hints throughout the post. Heidi and I were happy to take things back to the basics and re-discover the joy of shopping with a more personalized edge. 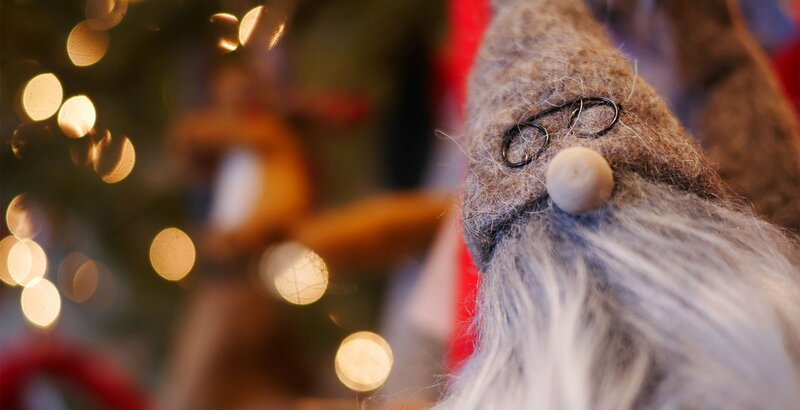 If you’re looking for an inspiring place to do some holiday shopping in a charming and historic location, Downtown Gananoque definitely belongs on your travel list! Below is a custom Google Map containing the stores that we visited, as well as several other shops and restaurants to check out! As always, thanks for reading! 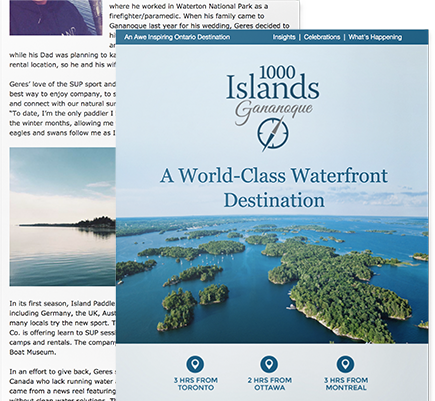 information about Gananoque and the 1000 islands.